Lets be honest here who doesn't love a freebie! Over the years I cannot tell you how much I have saved from freebies and I love it! There are lots of websites / brands that give you the free sample to try in the hope you would purchase the item yourself in store and it's great marketing. They will always ask you to fill out your contact details and this is often the vital piece of info they are actually after. Once they have your address they can then work on their marketing to attract you into a purchase later on. If you are not happy receiving communication you can always unsubscribe so what have you got to lose! Or there are free 2nd hand stuff for those who are on a tight budget or simply do not want to spend....when there is a will there is a way I guess with everything! 1. *http://www.gratisfaction.co.uk/ is the UK's fastest growing freebie site. They bring you the latest free offers throughout the day, every day to bring you the very best free stuff for you and your family. 2. Money Saving Expert has a page where you can earn a freebie for product testing and getting to keep the product after. 3. Gumtree is not just about selling there is actually a section where there are things for free. Sometimes people just don't have time to sell yet it's a waste to throw away so they offer it for free if you collect. 4. 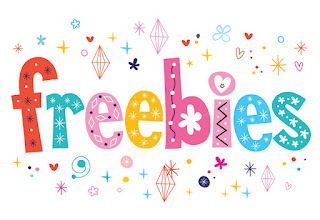 Freebiefinder is a site I have used before at work a few years ago. We were on our lunch break and the task was to apply for as many freebies as possible delivered to the work address and see who gets the most deliveries! 5. Freeads is a really old one but it's been going for many years. Similar to gumtree there are people willing to give away item they no longer need or want with no expense on your part. It can range from games consoles to sofa or even a car. You will find a huge variety of free stuff in the UK and via freecycle UK listed. Good luck with getting all those freebies!